Last November, the World Cities Culture Forum met in Seoul. This marks the second of three blogs that brings out and reflects on the key discussions and topics that took place there. 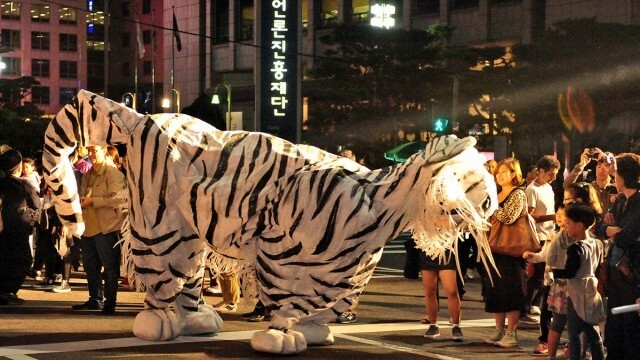 Our first blog on Seoul’s civic driven cultural policy can be found here. This follow up blog focuses on how world cities have much in common and much to learn from each other. Climate Change continues to present a real threat for world cities. Culture must be part of the response, because it speaks to people in ways that statistics cannot; it reaches people at a human level. The Summit showcased examples of projects underway in world cities, and examples like the Seoul Upcycling Plaza highlight the need for city departments to work together and involve all sections of society in projects. Gentrification and development can lead to vibrant creative neighbourhoods losing their unique energy and individuality. In world cities where this is a concern; many local governments are working to protect artists’ spaces and cultural venues. The most successful policies place power in the hands of citizens and integrate their involvement into city policy / action. The World Cities Culture Forum is a vital mechanism for bringing together Deputy Mayors and city leaders with shared challenges and shared ambitions, providing leadership in this landscape. An international response to today’s global challenges is necessary in our connected world. - Luca Bergamo, Vice Mayor and Deputy Mayor for Cultural Development, City of Rome. This ambition for a bold political initiative has resulted in The Seoul Declaration. To ensure that culture is a golden thread in all aspects of city policy, whether that might be housing or transport, health or education. To make culture available to and empowering for all citizens (like we have seen in Seoul). Recognising that world cities are the workplaces, inspirations, safe harbours and homes of outward-looking, open-minded citizens. To generate and learn from evidence and research, in pursuit of an enlightened and progressive approach to policy development and implementation. To act as leaders in our field and to continue to collaborate in the face of shared challenges and shared opportunities, as identified by the World Cities Culture Forum through its events, publications and networks. Seeking out cultural responses to climate change, recognising that artists help us to comprehend the challenges we face. Speaking as one voice on behalf of all global citizens. To represent those who value humanist values of openness, exploration and free enquiry. Global citizens value free expression and understand that art does not respect national boundaries. Developing the work of the World Cities Culture Forum through its Leadership Exchange Programme.